From her official online bio. From her professional beginnings as a teenager to the present day, Michelle has steadily grown into an entertainer of the highest rank and has collected a trophy room full of awards to prove it. Her career is such that opportunity continually blesses her. Highlights of her recent touring calendar include her first Australian concerts in 2004, a trip to Afghanistan in 2006 to perform for the Canadian and NATO troops serving there, and an annual Christmas tour (I’m Dreaming of a Wright Christmas, now in its fifth year) that is fast becoming a North American seasonal tradition. 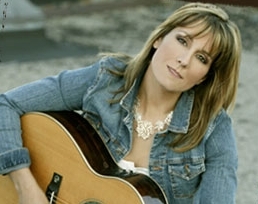 Michelle’s songwriting activity continues to grow: she signed her first writer’s deal with BMG Music Publishing in Los Angeles in 2001; that same year she received her first songwriting award (presented by SOCAN to mark the multi-format Canadian success of her single, I Surrender); and since then she has co-written many of her recent hits. The new decade has seen three new CDs from Michelle generating more sales and more hits: SHUT UP AND KISS ME, released by Sony/BMG in June, 2002; her first Christmas album, A WRIGHT CHRISTMAS, released in Canada on Icon Records in October, 2005 and around the rest of the world on Savannah Music in November, 2008; and her first full album of country material in ten years, EVERYTHING AND MORE, released in Canada on Icon Records in July, 2006 and around the rest of the world on Savannah Music in early 2008. Michelle has also begun to establish herself as a radio personality, launching her first syndicated radio show, The Women of Country with Michelle Wright, in April, 2005, and as an author, releasing her first book, A Year In The Life: The Journals of Michelle Wright, in May, 2005.